Introduces the subject and importance of history! Introduces and explores in detail key early civilizations! 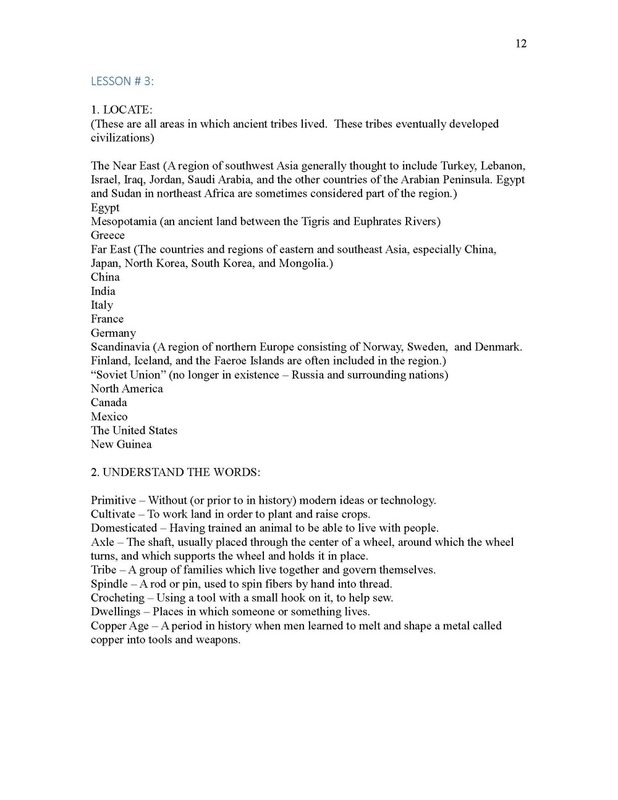 Introduces and explores in detail Buddhism, Hinduism, Judaism, Confucianism! History for students ages 11-adult. The histories of early, great civilizations - ancient Mesopotamia, Egypt, the Middle East, India and China. Where did civilization first begin? What was the first city, the first religion, the earliest profession? How did the idea of government start, and why? 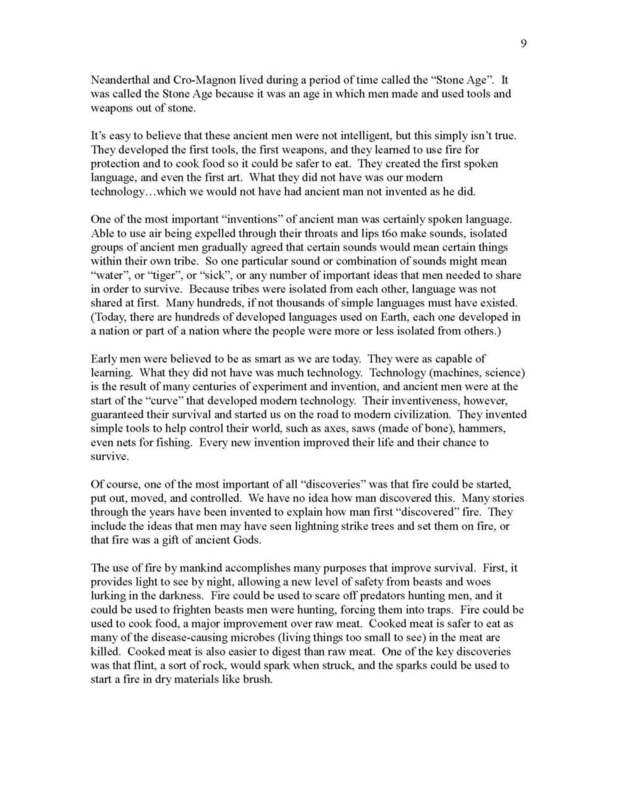 An in-depth study of early civilization. This second Step 4 History course covers the beginnings of civilization, including Mesopotamia and Sumeria, Ancient Egypt, various kingdoms of the Middle East including the ancient Hebrews, China and India. Our Upper School History courses integrate History, Geography, Philosophy, Art, Literature, Economics, Politics, Science and Religion to create a full and involving view of humanity as it developed. The beginnings of early religions are covered extensively, including Buddhism, Hinduism, Taoism, Confucianism, Judaism, Zoroastrianism, and Jainism. The earliest dawning of science is studied. The first literature and art is reviewed. Aspects of the Old Testament are covered through film and reading. The first code of laws and social contracts are looked over. These factors alone make this course an indispensable aid to understanding life today. In short, the beginning of nearly every area of human endeavor is opened up for the student’s discovery. And in every case, the student relates the studied materials back to his own life, finding ways to make history, science, religion, art, government and economics real and usable. In covering a religion, the student reads about that religion's birth, its beliefs and practices from materials belonging to that religion. Then, he attends services or ceremonies regarding that religion. The student interviews people who practice that faith, and asks them a prepared list of questions, including questions like "Why do you practice this religion? "; "What about your religion could society benefit from today"; etc. In studying the first motions of science, the student often re-creates in simple ways the methods or experiments used by the original discoverers. Students develop their own theories based on observation, and use science as it was originally used. The student develops his own view of each science as he experiences first hand that area of study. The first method of writing is looked at. The student even recreates the method of the first writings, in clay and with a sharpened tool. The first great architecture is studied, in reading, photos and in documentaries. The first laws ever written are reviewed, and re-written by the student to be more effective. The student is constantly asked to compare thoughts and beliefs of the ancients with his own considerations, looking for relative values. The course comes with a full Teachers Guide, to help the teacher/tutor assist the student when needed, as well as including all required tests and answer keys. The result of this course will be a student who knows where and how civilization, and most of our beliefs and institutions, started. The student will understand the genesis of much of modern life, and he will know that it all started long ago. Step 4 History is history made alive in the student's mind, experienced and understood. 75 lesson plans, five tests and answer guides, 110-150 hours of study/a semester.